MBA with a Concentration in Hospitality Management at the Vatel Institute of Hospitality Management at Alliant International University. The Master of Business Administration (MBA) with a concentration in Hospitality Management is an intensive and innovative degree that prepares students to become more effective hospitality industry managers and leaders. Courses are balanced between academic theory and professional practice. Students directly apply their knowledge through hands-on, professional experience with the option to take part in up to 12 months of full-time paid, practical training in the best hotels and restaurants in the United States. 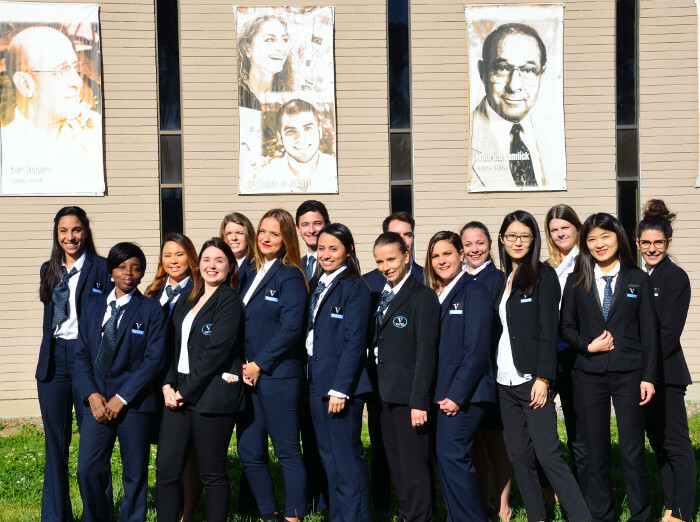 Vatel students have worked at our partner host hotels, which include: St. Regis, Four Seasons, Lodge at Torrey Pines, Peninsula, Sofitel, Langham, and many more. Vatel’s Career and Employability Center will assist students with locating their internships. Students must have a bachelor’s degree. Students with a bachelor not in the field of business will be required to take 2 prerequisite courses. Minimum English proficiency for international students is as follows: IELTS - 6.0. TOEFL iBT – 70,PTE – 50,CAMBRIDGE – 170,CEFR - B2,iTEP Academic - 4.0, DET: 49-59. Tuition is charged by session/semester unit at $698 per unit with a total of 36-semester units. Students who do not have a bachelor’s in a business-related area may need to complete the two pre-requisite courses. This estimate does not include costs for books and supplies or room/board.